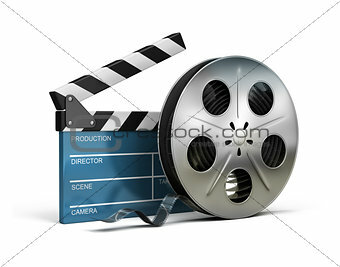 Image Description: Cinema clapper and film tape. 3d image. Isolated white background. L 19.6 x 15.4 cm 7.7 x 6.1"